Art4Space has over 15 years’ experience and have completed over 300 commissions. 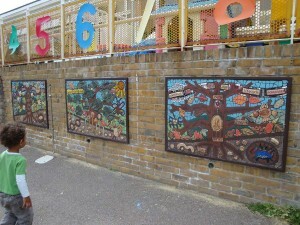 The artists are highly trained and qualified in teaching children and adults. We pride ourselves on our excellent project management skills, site specific artistic vision and knowledge of application. 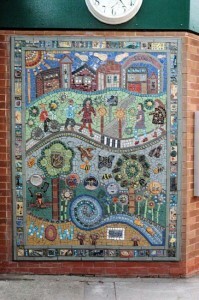 To create a mosaic and ceramic artwork for your school. The children will be involved in the project by producing designs for the mural and will create ceramic pieces and mosaic through creative and dynamic workshops. 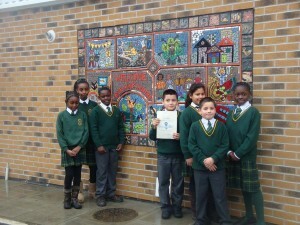 To increase the pupils understanding of art through the use of design, tile/ceramic and mosaic work. 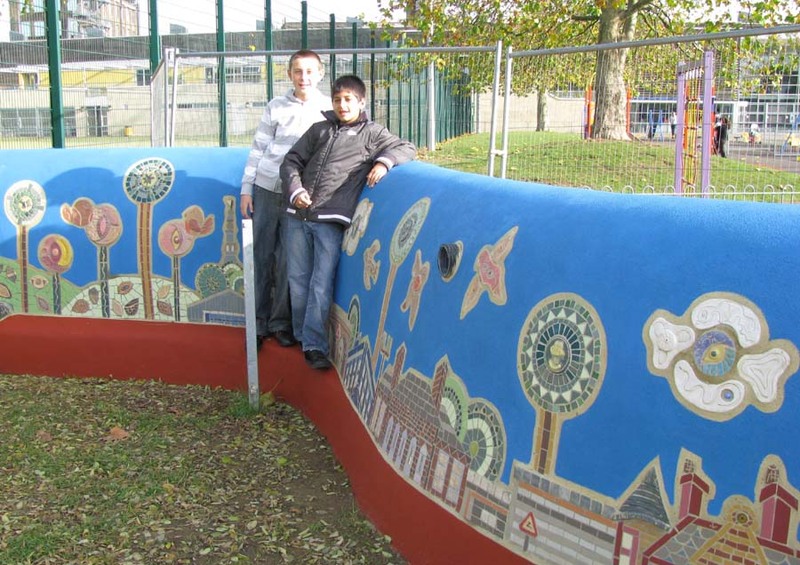 To encourage all participants to collaborate on a mutual project that will directly enhance and transform their school playground or interior space. To realise and value the creative potential in all through experienced teaching and facilitating. To arouse and stimulate sensory development through the use of diverse textures and colours. Art4Space will carry out stimulating and inspiring design sessions with chosen classes. We will talk about the theme of the mural then start with a series of warm up drawing exercises, leading into working with the pupils to create elements for the mural. The designs from the children will be put into an overall composition – keeping the authenticity of the artwork as we use projector and grid method. 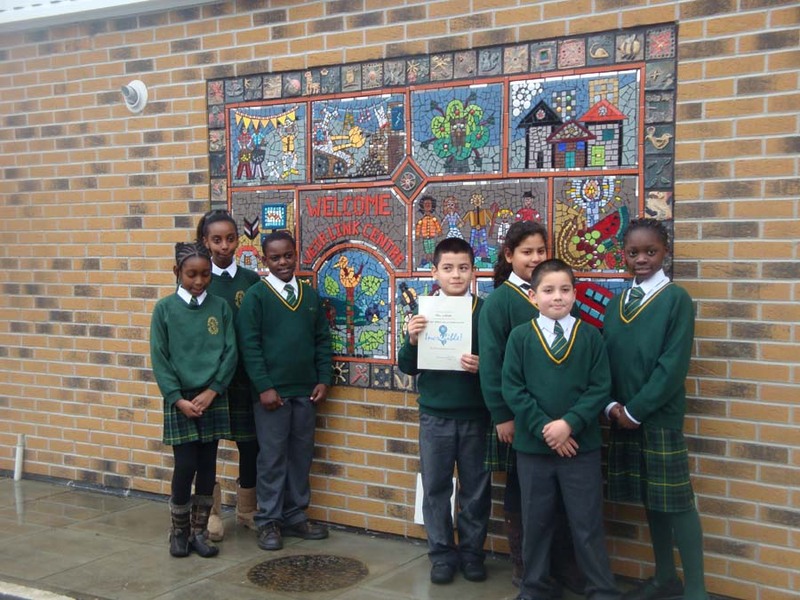 The artwork will be created with a stunning selection of tiles, other non-porous materials and ceramic. The ceramic sessions are for all ages. 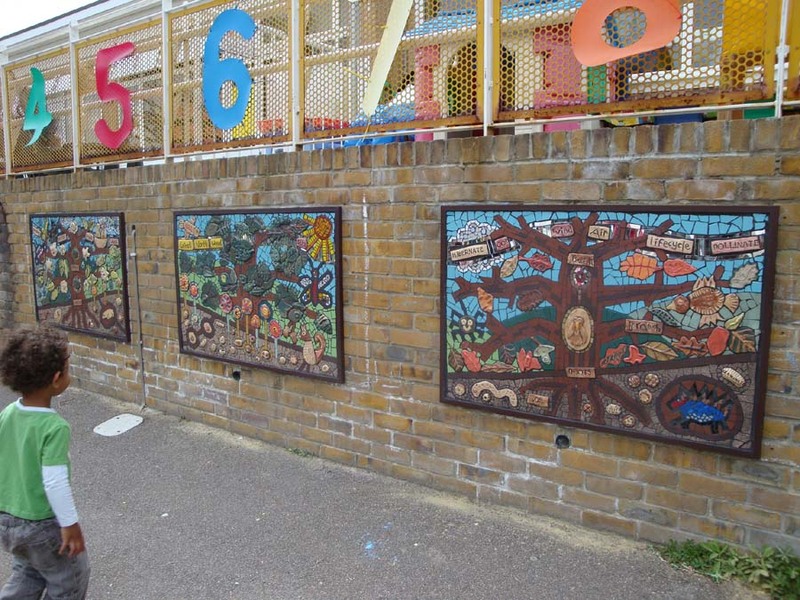 The pupils will create their own tiles for the mural, creating shapes and imprinting with different objects and text blocks and creating relief sections. The pupils will then paint their tiles with glazes ready for firing. This can be done with whole classes in their normal classroom environment. 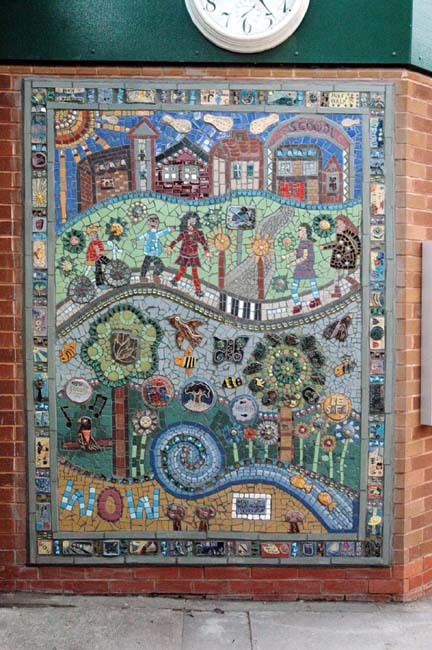 The mosaic sessions will be carried out with year 4 and above, incorporating the ceramic pieces and following the designs done by the children. The children will come to us in groups of 8-10. This can take place at the school and can involve parents, staff and children. It can be an open access workshop after school. 25 participants max. When funding is secured, we work indirectly on mesh panels which are then transferred to the wall at a later stage. This can be done indoors e.g – corner of the hall, specific classroom. Art4Space have a volunteer programme – volunteers are invited to join us on given projects, providing the school supports this. Volunteers have a great positive impact on projects. Art4Space will take on all project management.